Sometimes your company will want to host a corporate event. Sometimes your branch or department will be asked to present something. And sometimes, you’ll be asked to organize the whole thing. First things first, don’t panic! Second, contact SpeedPro Imaging Alpharetta. We have all the necessary tools, graphics, knowledge and skills to make sure your event is full of business but also actively engaging and entertaining. At SpeedPro, we’ll make sure to provide you with the essentials in creating a flawless corporate event. Our studio delivers service to all businesses and organizations located around Alpharetta, Atlanta and Roswell. If you’re looking for some help in setting up your event, reach out to us now! We know first impressions are everything when it comes to professional and corporate events. We also know that to win over new customers, you have to have a bold look. Our team will help you make guests feel comfortable at your event while also providing an engaging and exciting atmosphere. 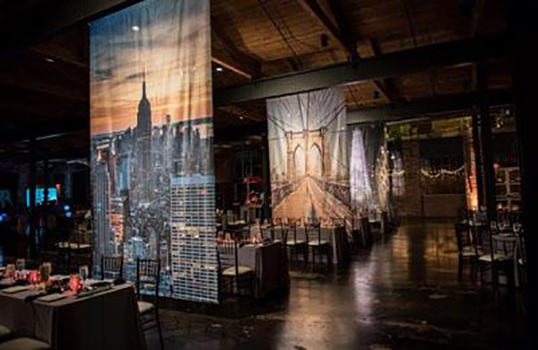 You can choose to mix and match designs or completely reinvent your event and customize all options. In case you’re unsure about any choices or need a second opinion, our design team is here to answer your questions throughout the entire process! The main feature of your event will definitely be directional signage. You want your guests to feel comfortable moving around and navigating the event space on their own. They’ll feel encouraged being able to acknowledge where presentations are being held, which table is the proper registration table for them and where they can find a bathroom. Banners can also do a lot for your event. On the outside, they can catch the attention of people walking by, inviting them to check out your event and come inside. Then, on the inside, hang these custom vinyl banners around your event to draw the eye up and around. Don’t let your guests miss anything — make sure they see every piece of your marketing puzzle! 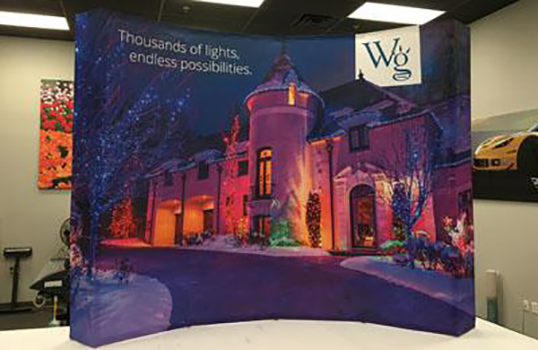 In addition, banners can help give and display information so that if someone doesn’t want to sit through presentations, they can still receive information about your business and company. SpeedPro also creates custom floor and wall graphics, such as decals, backlit graphics and wall murals. All of these can make huge statements by emphasizing the atmosphere or an element of your business. Provide excitement by installing these visual pieces in places that might otherwise get ignored or looked over. 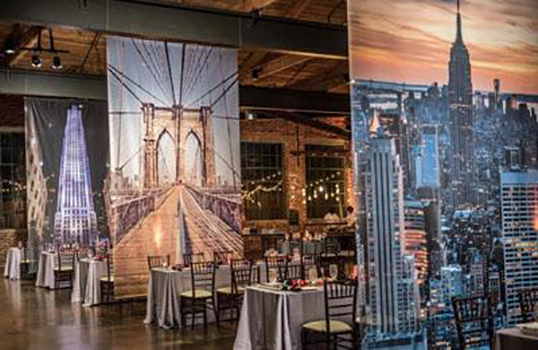 Whether you’re setting up a corporate event for the first time or the fifth time — with SpeedPro’s help, you can be sure to provide a good time to everyone involved. Call us today, and we’ll set up a one-on-one consultation to discuss your business and branding needs!